ON THE other side of a heavy red wooden door, sandwiched between contemporary Asian dining chain Mamagoto and live music venue The Humming Tree, lies Rayalaseema Ruchulu. With fare that spells comfort food and an ambience which says fine dining, the new kid on the block in Indiranagar dishes out old favourites from Andhraa��s flavourful cuisine, and does so with finesse. A high ceiling, a glass faA�ade on one side and some contemporary art give the place a modern-dining appearance. But the food is as authentic as it gets. And this is where the equation works seamlessly. The restauranta��s moniker might be a mouthful for non-Telugu speakers, but one round of seema kodi (oh-so-soft pieces of boneless chicken in traditional spices) or miryalu mamsam (equally nice mutton pepper), and youa��ll be on a first-name basis with Rayalaseema Ruchulu, which translates to a�?taste of Rayalseema (a coastal region in Andhra Pradesh).a�� If you arena��t a buttermilk person (they call it majjiga), ask for a cold draft beer and settle back with family or friends. If you are avoiding meats, ask for the mildly-spiced coconut-milk based tomato shorba, and follow it up with a plate of onion fritters or the vulligadda pakoda. Lovers of seafood, try the chepala vepudu (boneless fish fry) or the prawn version of the dish. What really works for the restaurant is that the spice factor can be fashioned according to your taste buds. If you can stomach it, eat like a native and ask for things at the their spiciest best. The Andhra kodi kura (chicken curry), gongura kodi with sorrel leaves and the Nellore chepala pulusu (tangy and spicy fish curry) are must-haves. 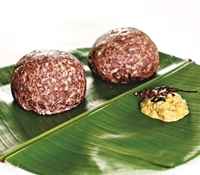 Skip rice and gorge on the Andhra version of raggi mudde a�� the ragi sangati which comes mixed with rice and goes beautifully with all things spicy, tangy and sour. Unlike the Karnataka version, this is meant to be chewed, not swallowed. And a dollop of ghee always does make things better. Like rice? Opt for the ulavacharu kodi pulao (chicken and horsegram). 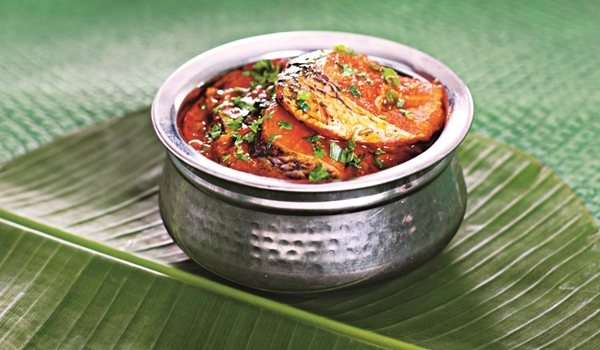 For vegetarians, they do a nice tangy and spicy eggplant gravy called gutti vankaya kura. Want more than one kind? Go for a thali. Though the thalis are only served during lunch hours, ita��s a-la-carte in the evening. While for now you can feast on sweets like the khubani ka meetha (made out of dried apricots), the restaurant is looking to add more fusion desserts to the list and we look forward to that.